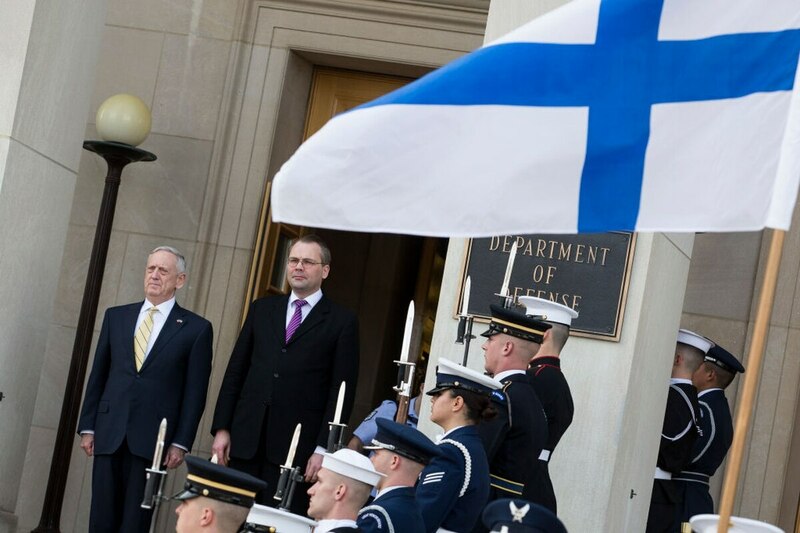 WASHINGTON — A top Finnish defense official wants the European Union needs to be more open with the United States and other partners about the goals of a new EU defense initiative, or risk blowback from valuable allies. Finnish Defence Policy Director-General Janne Kuusela said comments from U.S. officials about the Permanent Structured Cooperation on security and defense, or PESCO, made at and around the Munich Security Conference last month, should serve as a warning sign that EU nations have not done enough outreach to NATO members not involved in the new scheme. Similar concerns were echoed by U.S. Defense Secretary Jim Mattis during a NATO visit that same week, with a Pentagon official stressing a big part of the U.S. concern comes from a lack of transparency from the PESCO nations about what the group actually represents. “It is a difficult, complicated subject, but it is necessary," Parly says of weapon sales. “We need to communicate more across the Atlantic what we are doing and why, and to clarify any concerns because frankly speaking I don’t see any need for concerns here,” he added. Finland is hoping PESCO can eventually lead to what Kussela called “national requirements” — projects that are simply too big for a country of its size to tackle on its own. These projects include space-based technologies or air-to-air refueling, which are long-term areas of interest that he noted. Another potential model can be seen in the NATO C-17 consortium, where 12 countries, including Finland, helped fund the procurement and support of three cargo carriers. Broadly, Kuusela and others who support PESCO also have argued the U.S. should not be afraid of PESCO because it fundamentally encourages the European allies to spend more on defense and invest in areas that the U.S. largely supplements on their behalf.